my source to profound joy." 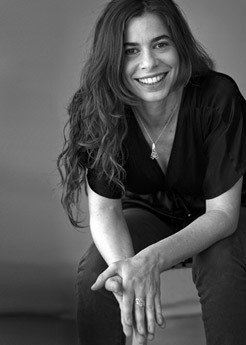 Maya studied Industrial Design at IED - European Institute of Design / Milano - year 2003. She worked in collaboration with several designers in Italy, . 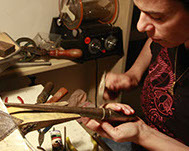 "I'm always excited to see how an amorphous and raw piece of metal transforms to a finished piece of sparkling jewelry. I enjoy touching and molding the raw metal with my hands; fascinated time and again by the experience of how a rough textured piece of metal is being shaped and transformed". The source of my inspiration comes from con-joining with nature, people and with the material itself. I like working with various types of metals such as silver and gold. The metal is cold and solid, but when heat and energy are incorporated intensely, it changes its shape, becomes flexible and submits to my vision. 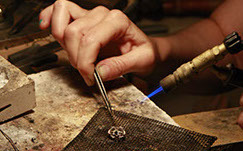 I am fascinated to reveal how throughout the polishing process, the metal changes colors, layer by layer, and how gradually a jewel is revealed with all its splendor. The cold, rough metal transforms into a heartwarming piece of jewelry, adding beauty and warmth, bringing joy and happiness to people. This creative process is my personal daily gift. My source to profound joy"